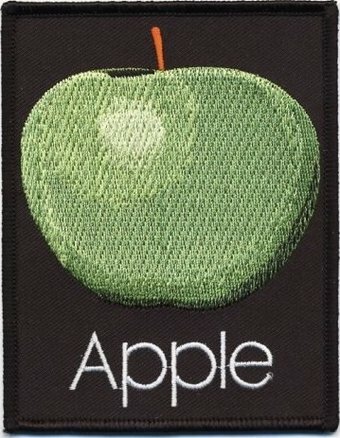 An officially licensed Standard Patch featuring The Beatles 'Apple Records' design motif. This is an iron-on woven patch, made from polyester, with standard backing and an overlocked edge. Size Guide for standard patches (size varies with design)... Square 100mm x 100mm square, Rectangular 100mm x 50mm, Circular 90mm diameter.